Look at the fun baby quilt I just finished! A friend just had her first baby and I immediately went to gather all the leftovers I had of these gorgeous fabrics from the Splish Splash collection by Gail Cadden for Timeless Treasures to make a project for the little one (Here is the quilt made with the same line). This cool pattern by Amy Hamberlin is very simple - it is your choice of fabrics which makes the design pop. The letters are already reversed and ready to be traced on fusible applique'. 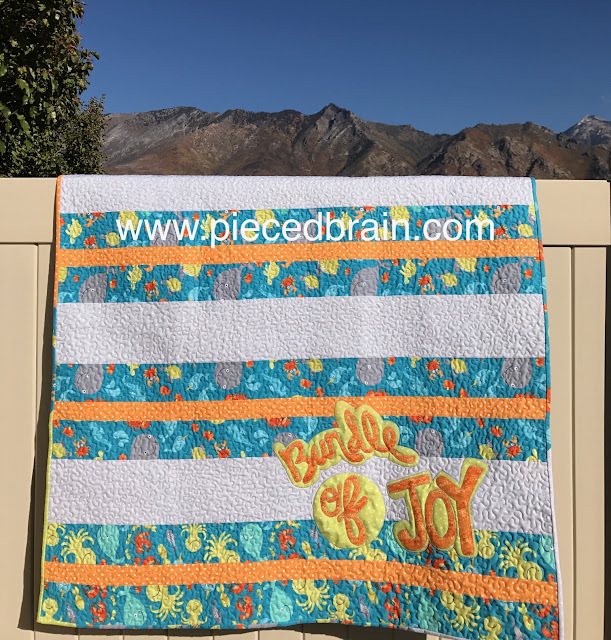 I blanket stitched them and free motion quilted with gray Aurifil 40wt thread. 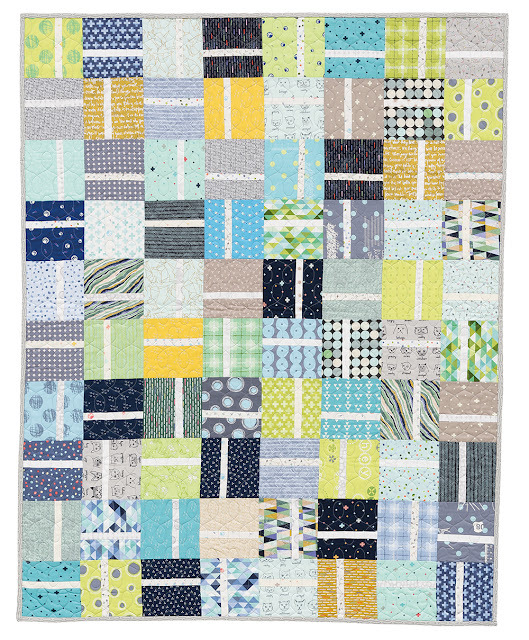 The scrappy binding shows the remaining strips and scraps from all the fabrics used in the quilt (my 16-year-old is the perfect quilt holder!). 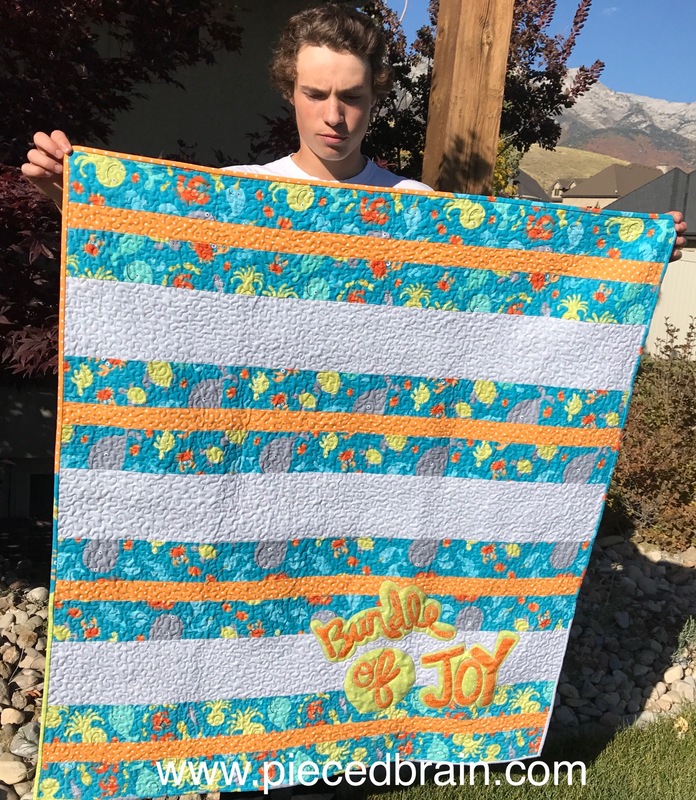 This baby quilt finished at 42" x 45-1/2". I made this project exactly as it was on the pattern in the book Baby Quilts for Beginners - Easy to Make, Fun to Give, compiled by Karen Burns and published by Martingale. 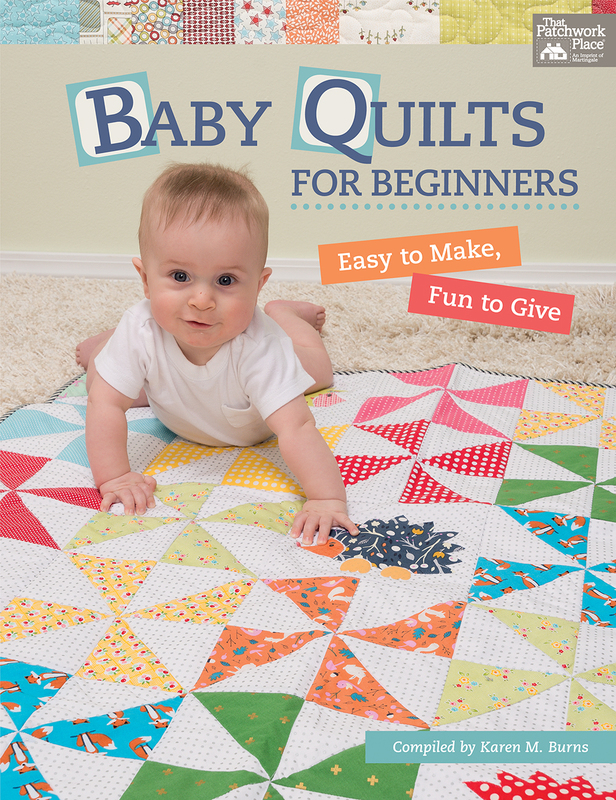 All 13 patterns in this book help beginners, as well as seasoned quilters, create beautiful baby gifts with minimum time commitment and maximum cuteness! 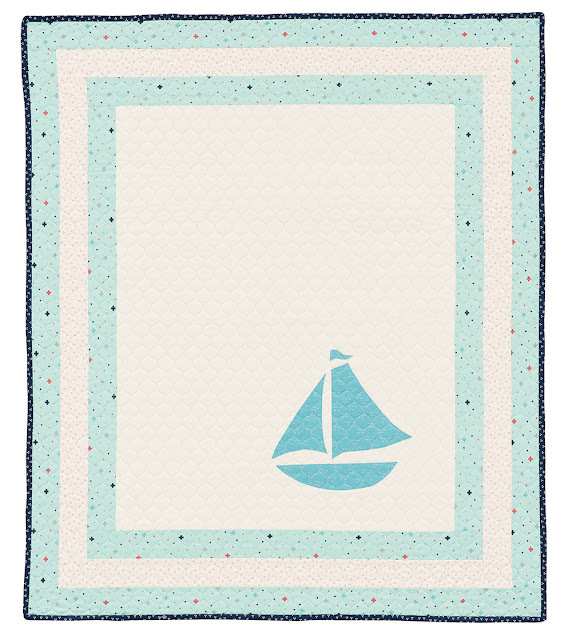 "Sail Away" by Kimberly Jolly of Fat Quarter Shop and It's Sew Emma. 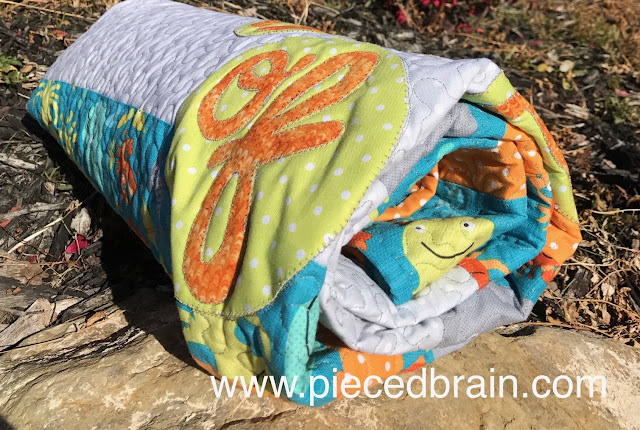 This pattern is perfect for beginners but also ideal for veteran free motion quilters because of all that negative space! This is "Charm Pack Shuffle" by Amy Ellis. Use precuts or 5" squares from your scrap bin. 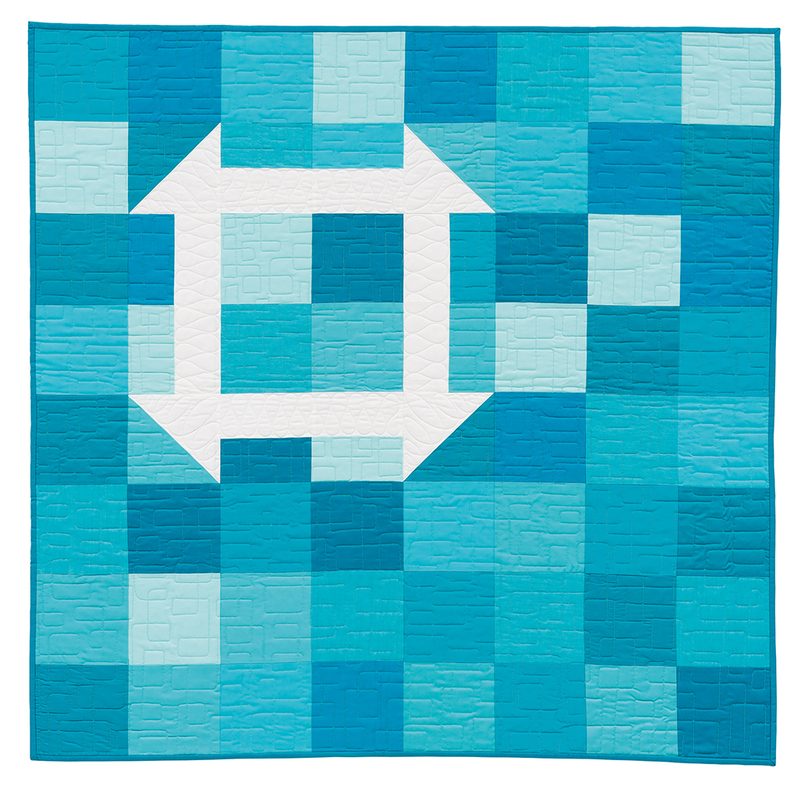 "Churn Baby Churn" by Vicki Ruebel is so easy to make and features one of my all-time favorite blocks! 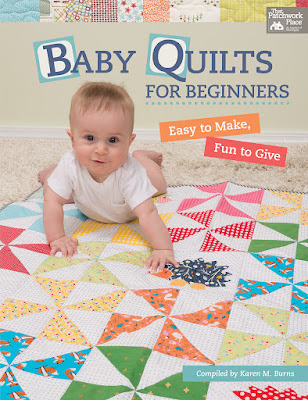 I'd rather make a quilt than purchase a baby gift; however, I don't always have time to make a quilt but this book is a total game changer. You need to check out the other designs in Baby Quilts for Beginners to get started on those gifts you, like me, have been meaning to make. As for me, I will now add Fray Check around the appliqued shapes and then deliver it. Fun finish! 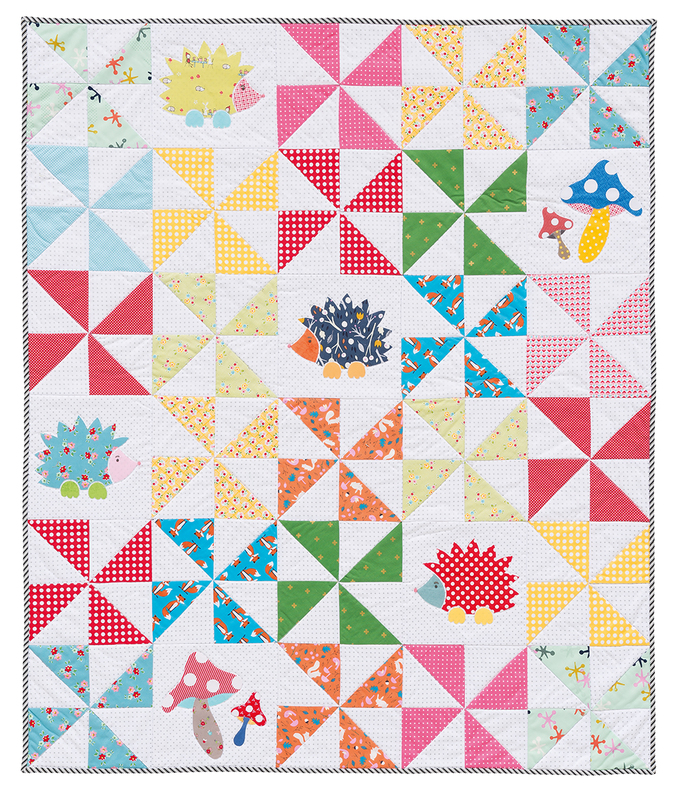 That last quilt is sweet and I like the hedgehogs and mushrooms on it.